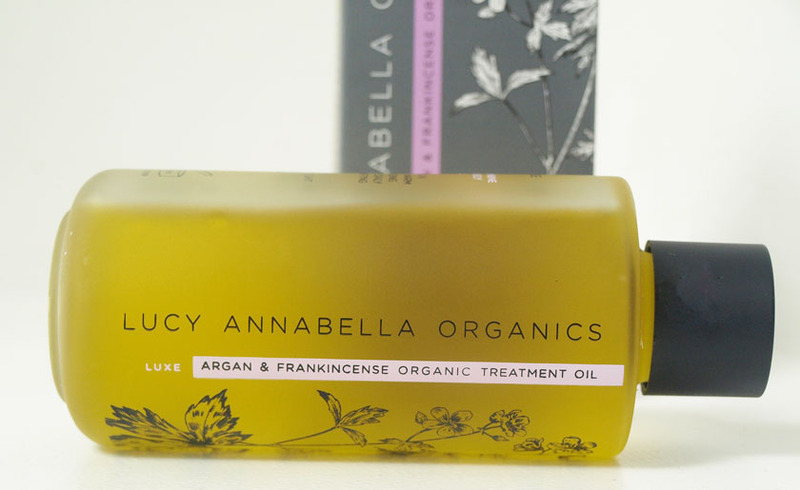 I was kindly sent two gorgeous products from Lucy Annabella to try out and I absolutely adore them! 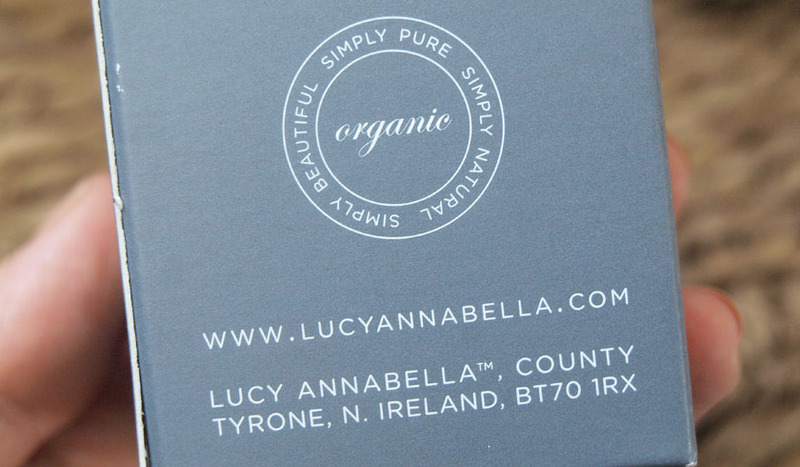 The brand was born in Northern Ireland and all the products are made with carefully selected ingredients, blended to stimulate creativity, romance, relaxation and vitality. Sounds perfect! 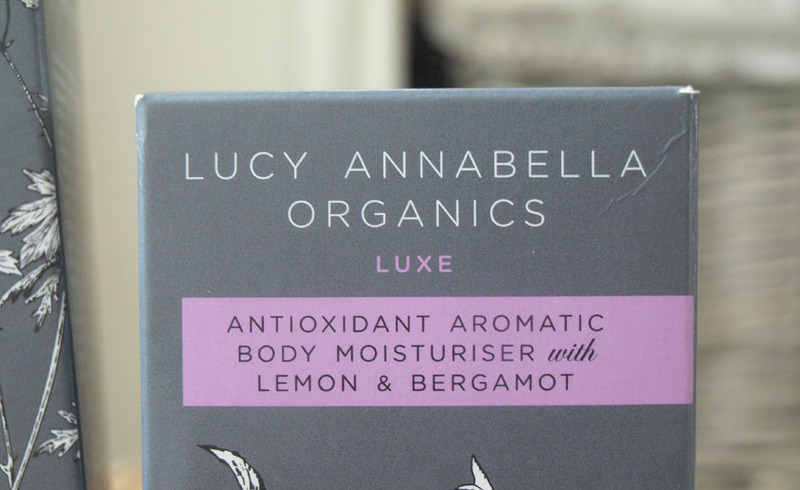 This 100% organic luxury moisturiser is utterly beautiful! It is packed with powerful antioxidants to renew the skin, Wild Camellia Japonica to maintain a youthful appearance and Lemon, Bergamot, Lavender & Cypress to awaken and revive. It is also enriched with Coconut Oil, Coco Butter and Aloe Vera Juice to keep your skin soft and hydrated. 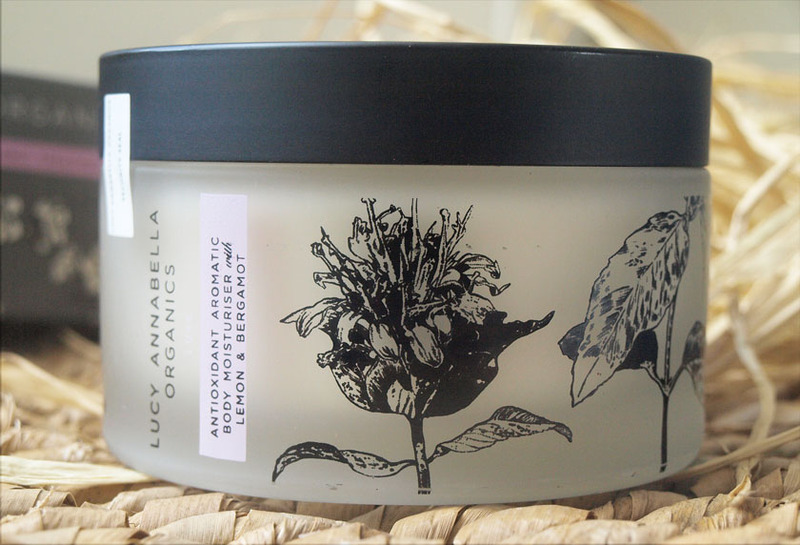 It has a lovely herbal scent, with a touch of lemon and bergamot, helping me feel very relaxed, every time I massage it into my skin. For best results, the moisturiser should be applied every morning onto cleansed, warm skin, but I have been using it a couple of times a week, after showering. 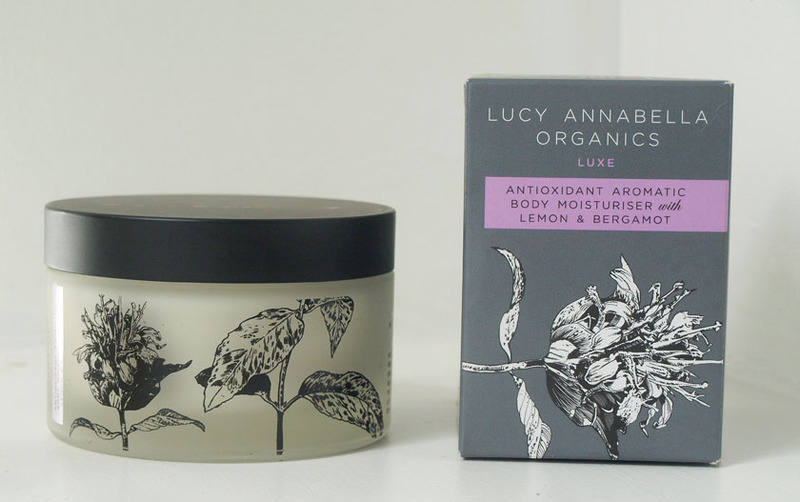 The consistency of the Lemon & Bergamot moisturiser is light and creamy and sinks into the skin within a minute. It doesn't leave a residue at all and after each application, my skin feels soft, hydrated, toned and revived! 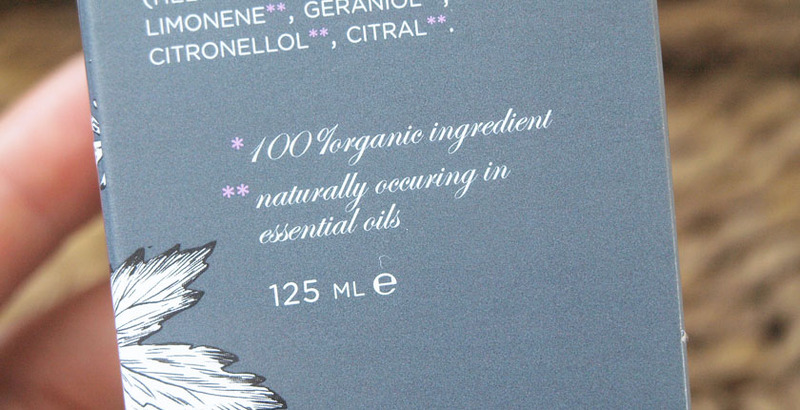 The only con is the high price, but the formula is 100% organic, luxurious and an absolute dream to apply! 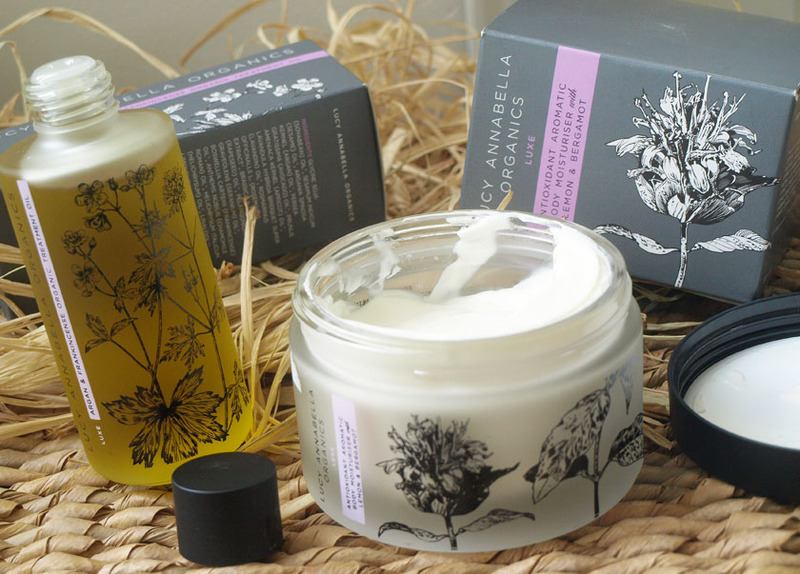 The packaging is really lovely and the moisturiser comes in a heavy glass jar. Oils are my new obsession and I often talk about them on the blog. I use them on my face every single day and I do my best to use them allover my body, a couple of times a week. 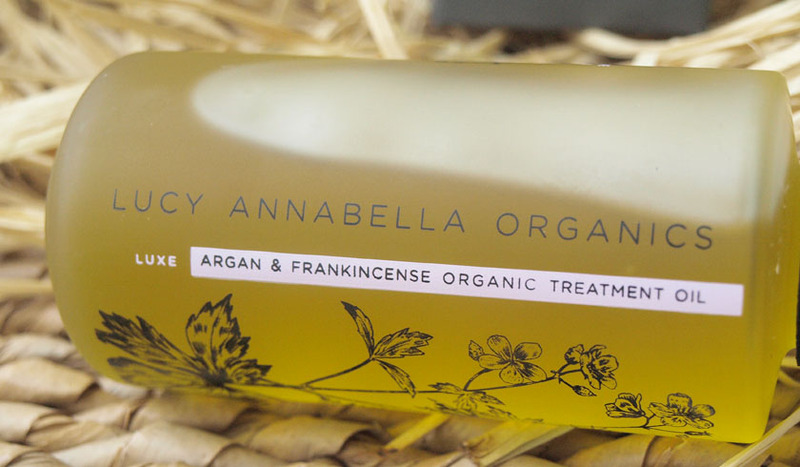 The Argan & Frankincense Organic Treatment Oil is a soothing and intensely nourishing blend of over ten 100% organic oils and it can be used as a body oil or a refreshing massage oil. I use it as a shower oil to lock moisture in the skin, add a couple of drops to my bath or massage it onto dry areas (like elbows and knees), when they need extra care. That's why I love oils- they are very versatile! The main ingredient of this powerful blend is Argan Oil, full of antioxidant rich Vitamin E.
Lavandin and Chamomile relax and soothe tired muscles and joints, while Geranium, Frankincense and Helichrysum balance the emotions and help to get a good sleep. 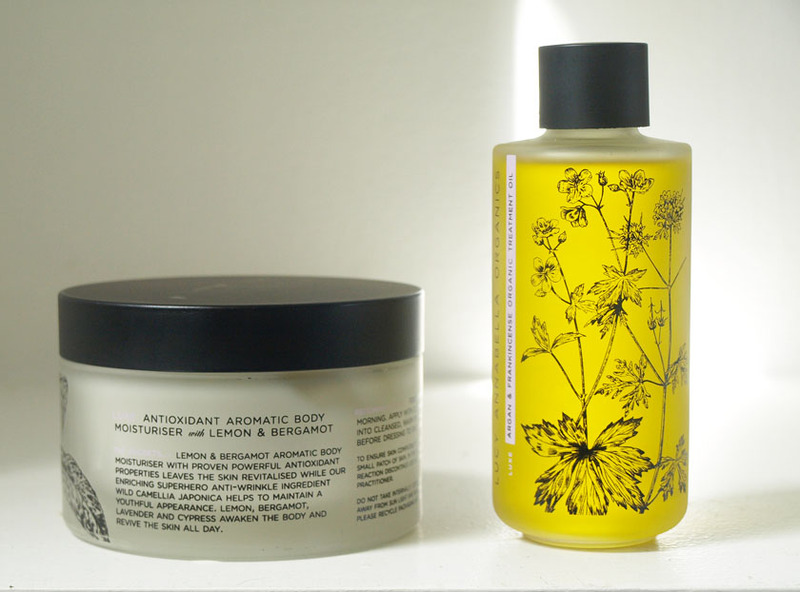 The oil feels light on my skin, leaving it super soft and nourished and it is a very powerful holistic treatment. It is a perfect blend to de-stress and relax after a long day. 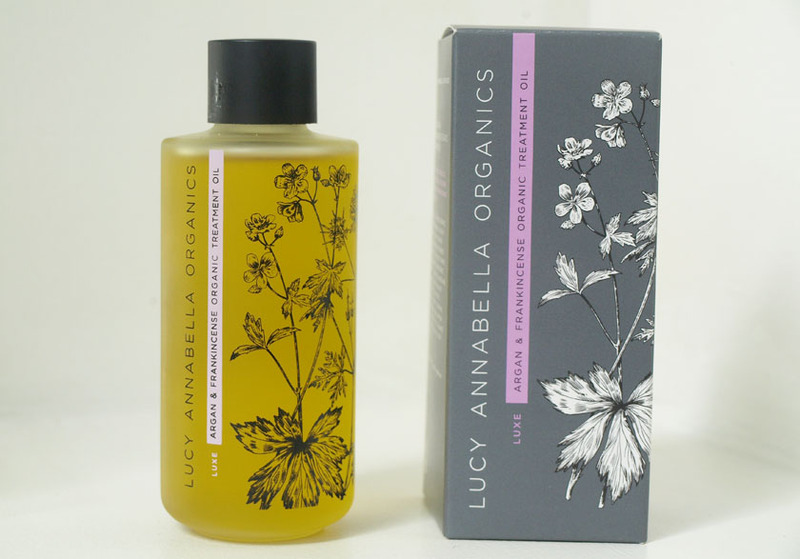 At the moment, you can buy Lucy Annabella products exclusively from www.lucyannabella.com , but they will also be available to buy instore from The Nutri Centre from mid-July.